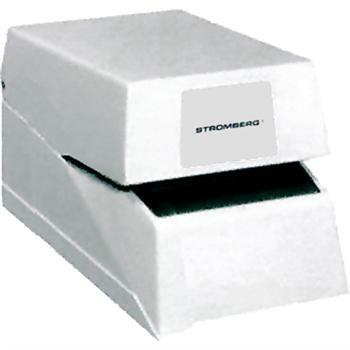 The Stromberg 217 and 218 dual mechanical date-time and numbering stamp, while a current item, is cost prohibitive for Time Clock World to offer. The Stromberg 217 and 218 models are the very same as the Widmer Mechanical 776 Date-Time and Numbering Stamp. These Stromberg dual mechanical date-time and numbering stamps are manufactured by Widmer with a slightly different paint color and the simple addition of the Stromberg name plate. If you are interested in the Stromberg Mechanical Dual Date-Time and and Numbering Stamps, we suggest you review and consider the Widmer 776 Mechanical Dual Date-Time and Numbering Stamp.